All the planets except Mercury and Venus have moons which orbit them. Unlike Earth, which has only one moon, Jupiter and Saturn have many moons. Saturn, the second largest planet in the solar system, has sixty-two moons revolving around it as of May 2010. Titan is the largest among these moons, and is even larger than the planet Mercury. The Cassini mission, which has had its mission extended and is now known as the Cassini Equinox Mission, is continually gathering more information on Saturnian system. Saturn has different groups of moons: ring shepherds, irregular moons, Trojan moons, and co-orbitals. Before the launch of spacecraft like Voyager and Cassini these moons of Saturn were identified through observations from Earth. In March 1980, D. Pascu, P.K. 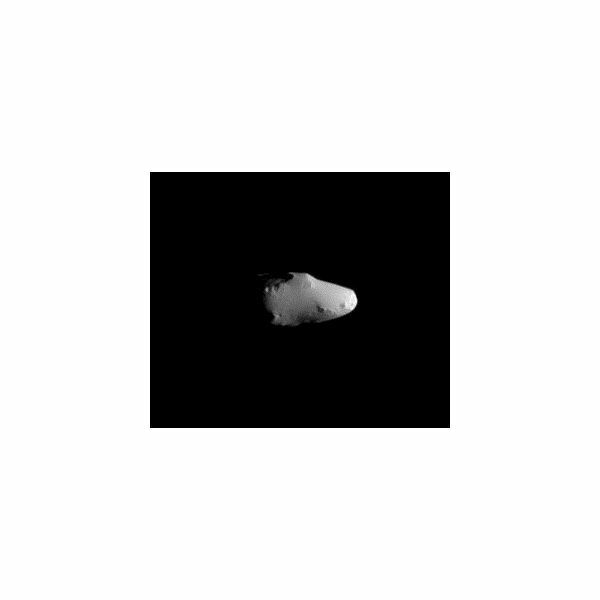 Seidelmann, W. Baum and D. Currie discovered Calypso, a small, irregularly shaped moon of Saturn using ground based telescopic observations. Both Calypso and Telesto were discovered in the same year and were named after goddesses in Greek mythology. Tethys was discovered in 1684 by G.D. Cassini. According to Greek mythology, Tethys had two daughters Telesto and Calypso. Thus the moons which share the orbit with Tethys were named after the daughters of the goddess. The Trojan moons are a special feature of Saturn. There are four Trojan moons and Calypso is one among them. Calypso, and another moon, Telesto revolve around Saturn in the same orbit as the moon Tethys, and are called Tethys Trojans. They occupy a special region called Lagrangian Points, where both experience gravitational stability. In this region the gravitational force of Saturn is balanced by that of Tethys. Calypso is 60°behind Tethys and hence is the trailing Trojan, whereas Telesto is ahead of Tethys by the same angle. The other two Trojan moons are Helene and Polydeuces, but they share an orbit with the moon Dione. This 22 km (14 miles) long moon of Saturn takes forty five hours and nineteen minutes to complete one revolution about the planet. Its surface is very smooth and has a very high ability to reflect light – i.e. it has a high albedo. The unusual smoothness of the Calypso has led scientists to believe that it may be formed from a disordered mass of fragments where different pieces fit together to give a smooth appearance. Calypso’s orbit is in the E-Ring of Saturn, which is formed by the enormous amount of water and ice fragments thrown out of another moon of Saturn, Enceladus. This contributes to another characteristic of Calypso—its white surface, which is believed to have formed by collecting the fragments of fresh ice from the Saturn’s E-Ring. Its visual geometric albedo is 1.34 and it is 294,619 km (183,000 miles) away from Saturn. Both Cassini and Voyager 2 have successfully taken images of Calypso, but the ones taken by Cassini are clearer, as they were taken from a much closer range and showed that Calypso is covered with dust. Even though these images provided information on this small member of Saturn family, a lot remains to be discovered.